I don’t know why it took so long for the History Channel to give The Count, of Palm Stars fame, his own show…I just say thank you. It’s about time for sure. The star is Danny Koker…check him out. I know I am not the only television watcher who has hoped this would happen, but now it has. What: Counting Cars, new show on the History Channel. Check your local cable provider dudes. They weren’t first at this. And lately rival Discovery Channel brought out Fast N Loud with Gas Monkey Garage, which starts up in a couple of weeks too. But for guys like me that eat, drink sleep and breath cars it really is about time for this one. The Count has been well-known in Las Vegas for quite a while. His family owned a local TV Station and he hosted his own show, which is where he got The Count moniker. Count Cool Rider. Very cool. And of course his own Kustom car and motorcycle place, Count’s Kustoms in Vegas. Putting out some of the best bent metal in the country. Customizing cars and bikes and famous for both. If you have a hot rod or hot bike and want to customize it, or if you dream about hot rods and hot bikes, you gotta make your starting destination the Count and his website here. 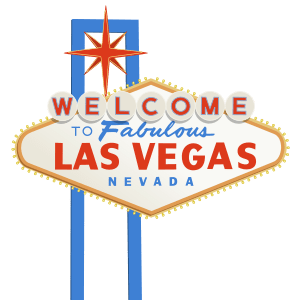 Even better….during your next trip to Vegas, take time away from the Casino and the Strip to venture out and explore some real Vegas sights like this shop. You will enjoy it and might just spend some of that money you won at the crap table or in that poker tournament. I know bro. I still gotta make it back to Vegas and buy you a drink. And get some new Ink from The Count’s Tattoo Company at the beautiful Rio Casino! Still m favorite place to play poker even when the WSOP isn’t in town. Twitter the Ink folks @CountsTattoo and check em out in the Masquerade Village at the Rio. Danny is a frigging business machine….. The 2012 Sturgis Motorcycle Rally is almost here. Are you ready? Is your bike ready? Is your girl ready? Cause you gotta have all three hot and polished and ready to ride if you are going to Sturgis! They have a 2012 Sturgis Rally Guide Book and it’s available now here., they say you could search the entire internet for hours and hours and “you still won’t find all of the information contained within this guide…not even close.” So get the Guide!! Travel and lodging, visitor info with all of the restaurants, parks, everything is available on the Rally page. They even have employment postings if you want to work the Sturgis Rally. And get ready for all of the bikes and all of the hot girls. And check out the 2011 results of the Bike Building Contest at Sturgis. The ab solute best bikes get unveiled at Sturgis World Championship of Custom Bike Building! Get your motor runnin’ and check out the steel ponies at the Eiteljorg Museum. From vintage and famous Hollywood bikes to tricked-out custom jobs!! 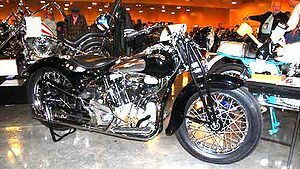 The Eiteljorg exhibit will feature both vintage and iconic motorcycles. This exhibit will introduce you to the history and the art behind the bike and how that history and art relate to real and the imagined American west. … the Award-winning Art Attack Custom Chopper. Read the story about the Art Attack bike at the link above and check out all the sweet pics!! The Eiteljorg Museum, which opened in 1989, was founded by Harrison Eiteljorg. 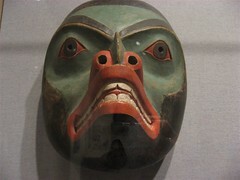 The museum showcases Western and Native American art and cultural objects. The museum’s design is also inspired by the land, people, and architecture of the American Southwest. Museum maps are here…and have fun!! Registration opens Saturday, February 25, 2012 for the Cycle the Sierra multi-day bike tour to be held in June 2012. The tour is based on counterpart rides like RAGBRAI in Iowa and Ride the Rockies in Colorado. The bike tour will follow popular roads from Grass Valley to Coloma, Kirkwood, Lake Tahoe and Sierraville, before returning to the start. Read the Sacramento Bee article at the link at the start of this post. Cost: $835 including all food, camping accommodations, equipment transport and entertainment. Interested? Register soon because the ride is limited to just 300 riders. Check out the Cycle the Sierra website here. Join their mailing list and keep up to date with all the goings-on!! The 2012 Sacramento Autorama is being held over the President’s Day Weekend. This is the 62nd year and Sacramento is now known as “The Kustom Capital of The World“. This is one of the longest running indoor shows anywhere. The show is held on the grounds of CalExpo, the site of the annual California State Fair and the Sacramento Mile motorcycle race. The Autorama features more than 450 custom cars this weekend. $10.00 General. Parking at the Main Gate as well as the East Gate off of Exposition Blvd. Daytona Bike Week 2012 is almost here. Daytona is one of the biggest, baddest, wildest bike events each year. Looking for a place to stay? Here is a full list of hotels in Daytona and nearby. And make sure you enter to win the Official 2012 Daytona Bike Week Bike! This bike is worth $35,000 so make sure you ride it home. Maybe because of the weather. And the beach. And the girls. You often get a brief, cleansing downpour of Florida rain…and then that beautiful (humid) sunshine. There’s a ton of bikers in Florida but the vibe is just different from Sturgis. More accommodating to newbies and wannabes. And more chicks. Must be the weather. More bikinis than in Sturgis too. Sign up for the Official Newsletter. Don’t miss the Limpnickie Lot Next-Gen motorcycle builders, and take part in Cathy’s Help Ride on the 13th of March. And the biggest Swap Meet I have even seen on March 16th. Maybe you will run into some full-skirted Indian Chief, or beautiful old Henderson, or a bike I have never seen in person and am still searching for…a original Crocker. Search under ever old palm tree out in that field. I am a motorcycle nut and a history nut. Do you know that between 1896 and 1953 there were like 250 American motorcycle manuafacturers? And of those only Harley-Davidson remains. It’s a good company and I am glad it lasted. But I wish some of the others had made it thru. Lots of Bike Week T-shirts and stuff..
On February 12th, the 32nd Annual Sweetheart Run exploded thru the hills aove Sacramento. Different types of motorcycles were seen and heard as riders participated in the Annual Valentines run. The link aove will take you to some great photos in the Sacramento Bee. You can buy individual photos from the Bee. Hundreds of motorcycle riders took part in the run from Auburn with a ride to Georgetown and to Coloma. This ride through California‘s gold country is beautiful even on a foggy winter day. Riders were encouraged to ring or sign Valentines which will go to veterans at the Reno VA Hospital, Mather VA Hospital and Auburn VA Clinic. Valentines will also e included in packages being mailed to active-duty service members in Afghanistan. The Sweetheart run egan in 1989 with just 7 riders. Last year 2,000 participated. Sellers: Spaces are available at the gate. No one will be turned away!! PHOTOS here of the last great Swap Meet. Have you been to the Reno Swap Meet? Well, it is now the Sacramento Swap Meet…so, come on down!! 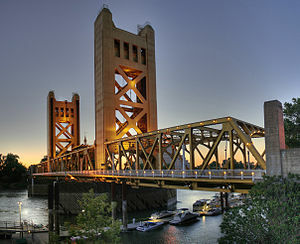 Make sure you come visit Sacramento this spring and summer. Help to fill up the Sacramento Swap Meet. Remember: the Pre-registration deadline is April 6th. Don’t let it pass you by. Kids Jump House, Cotton Candy, Sno-Cones, King Cakes, Po-boys, Jambalaya, Beignets and more!